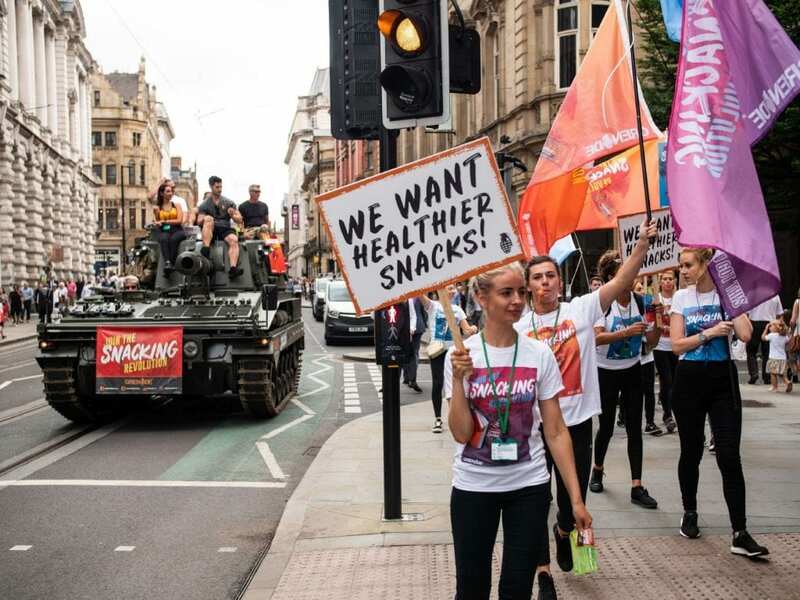 You’d be hard pressed to miss a military tank, flanked by a crowd of bulging biceps brandishing pickets with the slogan “we want healthier snacks”, travelling across the country earlier this year. You’d be forgiven for thinking this was an admirable effort, championing healthier snacks — on the face of it, this would seem to be the case. The reality is not quite as rosy. This was a stunt from the functional food&bev brand Grenade®. They are one of many new wave functional health brands pushing indulgent protein snacks, touted as healthier than the current offerings on the market. In this article, we’re going to dive into this new wave of functional snacks, the health claims and whether or not they’re here to stay. It’s fair to say protein bars and protein enriched foods have finally left the confines of health food stores and exploded into mainstream supermarkets. This is due in part to a continued awareness of protein’s importance in the diet. In the UK, 27% are now using sports nutrition products*, rising to 39% who exercise more than once a week, a recent Mintel report suggests. 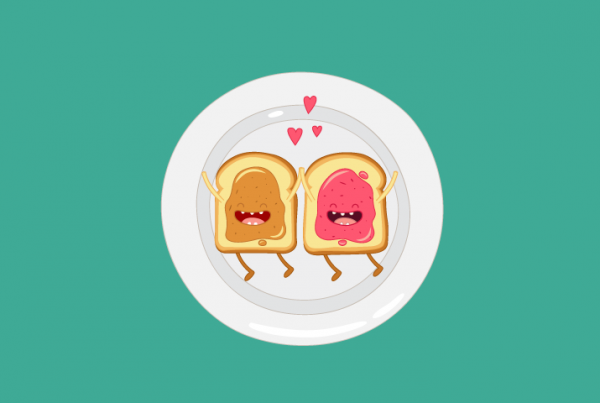 This new love affair with protein and functional snacks is helmed by millennials and Gen Z, with over 42% of UK consumers aged 16–24 having consumed sports nutrition products. In the last 2 years, over two dozen protein bars have launched — from health-centric paleo bars all the way to mainstream confectionery with the likes of Mars getting in on the act. 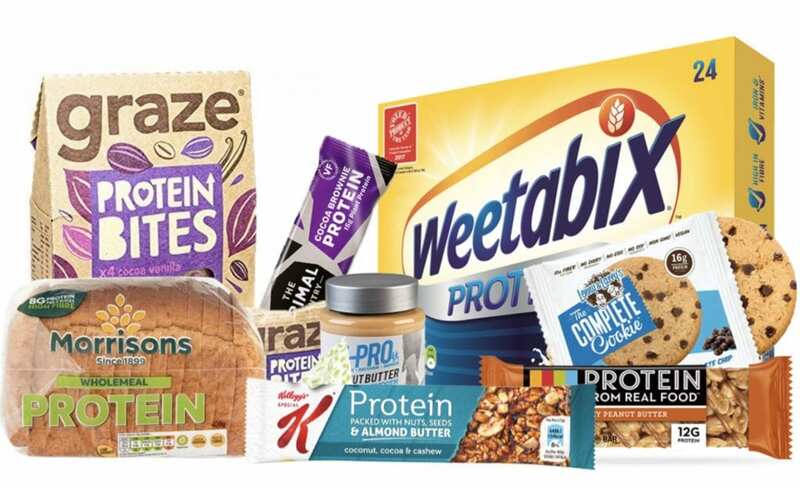 It’s not just protein bars that have had all the fun, breakfast cereals imbued with additional protein, yoghurts and even crisps now proudly display the magical word protein on their packaging. However, some of these foods, are hiding some dirty little secrets. A few caveats before I dive in: firstly despite some of these products not living up to their claims and missing the mark, their combined effort must not be overlooked. They have paved the way for future brands to enter the market and created an environment of continued improvement, the polar opposite to the confectionery market of old. Without these initial efforts from the likes of Grenade, PhD, Fufill, Optimum Nutrition and many others, we would be much further behind. Secondly, this is written from a place of empathy, experience and desire to see these products succeed and evolve. Six years ago, I launched a no added sugar chocolate range. To say it was incredibly difficult is an understatement, the cost implications were huge, plus there was still doubt regarding the negative effects of sugar, this was 2 years before the government took more aggressive action and the general public started to take note. In addition, I founded The ELEVEN Brand in 2017, a functional BCAA drinks range, with the ethos of sports nutrition rooted in nature. This should give credence that my feet are very much planted in the food and drink industry and here to stay. 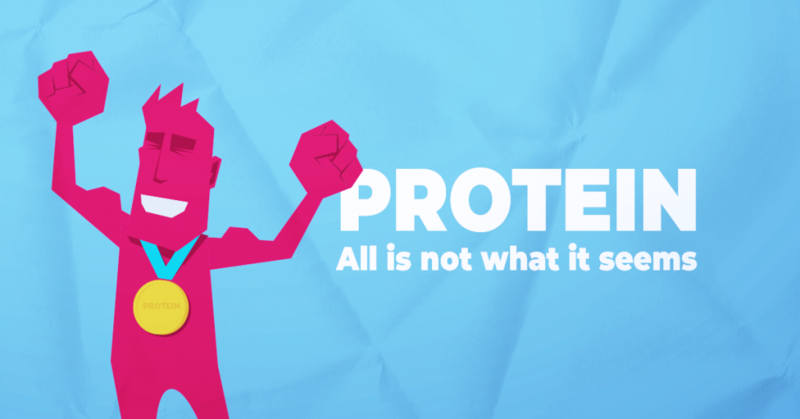 First of all, let’s tackle protein — what is it, why do we need it and is the protein in these foods the same as whole foods? If you’re familiar with protein and it’s function in the body, you can skip straight onto the examination of packaged foods below. From a chemical standpoint, protein is composed of amino acids, these are organic compounds made of carbon, hydrogen, nitrogen and oxygen. Amino acids form the basic elements of protein, and proteins are the building blocks of muscle mass. When consumed, protein is broken down into amino acids. Proteins and amino acids are used for nearly every metabolic process in the body. Proteins from different sources vary greatly in the types of amino acids they contain. There are 20 amino acids your body needs to build proteins for normal growth, maintenance of the immune system and overall health — 9 are called essential amino acids. They are called essential as they cannot be made by your body and must come from your diet. Animal proteins such as whey, meat and eggs, contain a good balance of all the amino acids that we need (insects are also packed full of protein with a great amino balance). Whereas some plant proteins are low in key amino acids. That’s not to say you can’t get all nine from plants: legumes, such as soybean and pea contain all 9 as well — just not as many non-essential amino acids. This is why vegetarian and vegan protein powders will use a combination, such as rice and pea to maximize the amount and quality of amino acids. Many brands now use the phrase “complete protein” as in the protein source contains all 9 essential amino acids — this is a step in the right direction as it aids the consumer in comparing products. This leads us onto brands infusing or bolstering their products with protein, and as we just covered, there are different types of protein, and despite the word “protein” emblazoned on the front of pack, this doesn’t mean it’s complete or indeed even a good source of protein. Even though the line between conventional sports nutrition products and lifestyle foods with a functional slant has blurred, there is still a distinct difference between the two. For ease, lets separate these into two categories, as I don’t think it’s fair to compare them directly: the first group of products appeal to the nutrition-conscious consumer — consumers aware they need to make healthier lifestyle choices, whereas the sports-centric products appeal more to the nutrition-savvy — consumers with a deeper interest in product claims, better understanding of macronutrients, going beyond simple front of pack highlights. This is a syndicated version, for the full article, head over to Medium.